SYNYO is an independent social research and innovation hub that investigates and develops novel technologies to tackle business and societal challenges. SYNYO analyses the impact of emerging technologies on business and consumers, and provide clients with analysis and insights on innovations affecting their investments and businesses. Understanding social, cultural, economic and political dynamics within society and social phenomena in general, are indispensable prerequisites for identifying future technological demands. Therefore, SYNYO also puts a strong emphasis on social research, from which valuable insights into issues of societal relevance can be understood to foster a more inclusive, reflective and sustainable society. Rather than focusing on one special subject in social sciences, SYNYO attaches great importance to interdisciplinarity and considers the whole range of social research, from various discipline and stakeholder perspectives. The used research processes and proprietary methodologies are designed to convert complex information into clear and precise insights for developing definitive actions. SYNYO has access to a vast network of knowledge including technology providers, industry leaders and academic institutions. Except for its research expertise, SYNYO through a selective development team carry an ICT project from analyses to deployment. Key system attributes for SYNYO include collaborative systems operated from a large end users group, creating modern graphical interfaces to transmit a bigger visual human perception, as well as keeping security and lean management as baseline for successful solutions. The Stichting LIBER Foundation (Stichting LIBER) is the principal association of the major research libraries of Europe (http://www.libereurope.eu). It was founded as an association in 1971 under the auspices of the Council of Europe and became a Foundation under Dutch law in 2009. Its current membership includes over 400 national and research libraries from more than forty countries, mainly but not only, in Europe. Its overall aim is to assist research libraries in Europe to support a functional network across national boundaries in order to ensure the preservation of European cultural heritage, to improve access to collections in European research libraries, and to provide more efficient information services in Europe. Scholarly communication infrastructure and open access are priorities for the LIBER Strategy. Over the coming three years, LIBER aims to work to reshape the research library; developing new skills and services in open access publishing and research data management to support the changing scholarly communication landscape. Our working groups for research data and copyright consist of experts from university and national libraries across Europe. They are highly active. LIBER is also well connected internationally, via the International Federation of Library Associations and the Research Data Alliance. It has established working relationships with SPARC Europe, the Confederation of Open Access Repositories, EIFL, and the American Association of Research Libraries. LIBER is also involved in the development of the two key infrastructures for open access and research data management, EUDAT and OpenAire. LIBER has extensive experience in EU projects, both infrastructure and policy related. Open Knowledge is a not-for-profit organisation that promotes open knowledge, including open content and open data. Open Knowledge provides open data services and is the creator and licensor of CKAN, the world’s leading software for open data portals. Open Knowledge has been working in the open data space since 2004 and are world experts around open data, open content, principles, standards and practice in open. Open Knowledge are experts at community building through Working Groups and co-ordinates over 20 domain-specific groups that focus on discussion and activity around a given area of open knowledge. The Open Science Working Group has been around since 2009 and is led by a group of volunteers, with Jenny Molloy as general coordinator. Open Knowledge have significant expertise in training and event organisation. Their services include School of Data, events include OKFestival, the world’s biggest open data and open knowledge event and OKConference. Open Knowledge have coordinated dissemination and community building on various EU-funded projects including LOD2 and the LinkedUp Project, that aims to push forward the exploitation of the vast amounts of public, open data available on the Web, in particular by educational institutions and organisations. Open Knowledge led on dissemination and community building and were also partners on the first and biggest Open Data Challenge. They are also participating in the PASTEUR4OA (Open Access Policy Alignment Strategies for European Union Research) Project, which aims to support the European Commission’s Recommendation to Member States of July 2012 that they develop and implement policies to ensure Open Access to all outputs from publicly-funded research. Open Knowledge provides stewardship and support for initiatives by and for the community, that promote and further open knowledge in a wide variety of fields, ranging from privacy initiatives to crowdsourcing open data. ContentMine is one of these community initiatives. ContentMine is supported by a Shuttleworth Fellowship, which supports Peter Murray-Rust to build a technology, community and organization for creating viable and sustainable Content Mining. Strategically located in Europe, Radboud University is a leading academic community in the Netherlands with approx. 19 thousand enrolled students and 2,900 ftes academic staff. The university aims at combining top-flight education with groundbreaking research in a wide range of disciplines. On campus is the Donders Institute for Cognitive Neuroscience, as well as one of the few institutes of the German Max Planck Gesellschaft not located in Germany. The Centre for Language Studies (CLS) is a research institute of the Faculty of Arts at Radboud University. CLS is the home for a group of highly talented and successful researchers who share one mission: to gain a deeper understanding of the architecture of the language system and its interactions with processes at the individual and the social-cultural level. CLS researchers (166 in total) study the cognitive processes operative in the production, comprehension and acquisition of language, the historical and social factors determining language variation and change, and the communicative effects of language. One of the fifteen research units within CLS is the Language and Speech Technology PI group, led by text and data mining pioneer prof. Antal van den Bosch. The group studies and develops computational methods for the comprehension and generation of text and speech. We evaluate these methods intrinsically, and test their utility in real-world applications such as text mining of social media, historical archives, oral history collections, and semi-structured scientific texts such as logbooks and dictionaries. The group works with big data and machine-learning methods that learn computational models from data, while at the same time the proper development of information systems demands a hybridization of data-driven learning and ‘rich priors’ from the domain or context. The Radboud group offers extensive knowledge of the European landscape of trends, projects and best practises in the area of TDM. The British Library is the national library of the United Kingdom and one of the world’s greatest research libraries. It supports the UK’s research infrastructure, serving business and industry, researchers, academics and students, world-wide, as well as in the UK. The BL receives a copy of every publication produced in the UK and Ireland via legal deposit. Its collection includes well over 150 million items, in most known languages and grows by approximately three million items a year. A major concern is the collection and preservation of born-digital material, including websites. The British Library is passionate about providing both physical and digital access to world-class information where and when people need it. Over 16,000 people use the collections of the British Library each day (on site and online). In the course of a year, six million searches are generated by the British Library online catalogue and nearly 400,000 people visit the Reading rooms. With these impressive figures and experience gathered in the past, the British Library has a demonstrated capability for engaging with research communities across all discipliens including the sciences, social sciences, arts and humanities and taking responsibility for delivering appropriate studies, products and services in these areas. We also have significant interactions with a wide variety of business users through our national network of Business and Intellectual Property Centres, as well as members of the public. As a national library, the British Library is committed to improving access to, and facilitating the reuse of research material. This includes all types of content including digitised material, born digital content, and archival content such as web archives. Text and data mining is essential to the library’s future services. It forms a key capability for research and analysis that we see as relevant to not only libraries (to improve for example cataloguing / taxonomies etc), but also citizens, scholars and businesses who want to derive value from the types of content we as a large research library / national library hold – sometimes uniquely. The Institute for Information Law (IViR) is part of the Faculty of Law of the University of Amsterdam. The Institute is the largest research facility in the field of information law in Europe and probably in the world. During a national evaluation of legal research programmes, the institute received the highest grades of all programmes in its field of expertise. The Institute employs approximately 30 qualified researchers who actively study and report on a wide range of subjects within the domain of information law. The Institute for Information Law (IViR), officially established in 1989, is one of the largest research centers in the field of information law in the world. The institute’s mission is to further the development of information law into a balanced framework that accommodates the needs and interests of the information society. Scholars of the Institute for Information Law are very active in the fields of intellectual property law, privacy law, public sector information law, open access. They also have vast experience in cooperating other institutions and in carrying out multi- disciplinary research. The IViR staff has worked very closely with the partners of OpenAIREplus (University of Göttingen and ICM) and have produced together a report that was very well received by the European Commission and the research community. 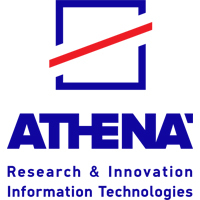 Athena Research and Innovation Centre (http://www.athena-innovation.gr/en.html) is a scientific research and technological organisation, functioning under the auspices of the General Secretariat for Research and Technology (Ministry of Education). It comprises 3 research Institutes: Institute for Language and Speech Processing (ILSP) – dedicated to language technology research, development and innovation, Institute for the Management of Information Systems (IMIS) – dedicated to data and information management, and Industrial Systems Institute (ISI). ILSP’s Natural Language and Knowledge Engineering (NLKE) Department, involved in this project, conducts basic and applied research in the fields of NLP and Knowledge Technologies. It designs, implements and integrates human language technologies in systems and applications dealing with structured and unstructured data processing. Applications include language‐aware information retrieval and extraction, natural language interfaces, text mining, knowledge management, etc. amenable to multilingual and multimedia information processing. Resources and tools are designed and developed for efficient structural and grammatical text annotation; shallow parsing; term and named entity recognition; co‐reference resolution; event recognition and their interrelations; semantic‐web oriented information extraction; text classification; multilevel parallel text alignment; automatic elicitation of lexical data pertinent to monolingual and multilingual applications. Athena plays a major role in the Greek and European data infrastructure community with great expertise regarding the design, development and operation of data infrastructures in a broad range of subject areas, including CLARIN (ILSP is coordinating the Greek CLARIN infrastructure), META-SHARE (coordinated by ILSP Europe-wide), DARIAH (IMIS is the technical coordinator of the Greek DYAS-DARIAH infrastructure), OpenAIRE and OpenAIREplus (ARC team affiliated with the Univ. of Athens being the coordinator and a major technical partner), ESPAS (data infrastructure for near earth sciences), RDA-Europe (the Research Data Alliance), ARIADNE (archaeological research data infrastructures), iMarine (Data e-Infrastructure Initiative for Fisheries Management and Conservation of Marine Living Resources), OpenDataMonitor (Open Data aggregation and visualization). Ubiquity Press is an open access publisher based in the United Kingdom, which is growing very quickly due to its researcher-centric approach. The company is fully committed to increasing the adoption of full open access and open data, and to leading on new advancements in these areas. A key part of the Ubiquity Press business model is supporting the publishing operations of individual university presses. TDM is a central concern of the institutions running these presses, and we work hard to ensure there are no barriers at all to TDM with their content, but also actively encourage researchers to make use of it. Centrum Cyfrowe functions within the Projekt: Polska Foundation as an autonomous unit that focus upon issues related to the functioning of digital technologies within the Polish society. We work in the think-and-do tank model, by combining policy work and analysis, research, education and awareness raising around key challenges faced by the digital society. Our particular focus is on matters related to the functioning of intellectual property rights in the society, and the related process of content production, distribution and sharing within science, education and culture. Since 2012, we have been actively involved in policy debates on the shape of the copyright system, access and reuse regimes for public sector information, and open licensing of publicly funded content. We are the institutional partner of Creative Commons Polska, the Polish branch of the international organisation that stewards the Creative Commons licenses. We are members of Copyright4Creativity, a coalition of European organizations and institutions acting for the reform of copyright, and Communia, a European association for the Digital Public Domain. Within these coalitions, our particular focus has been on issues related to the functioning of copyright law within education. We have prepared the educational part of the Copyright4Creativity position paper on copyright reform. In Poland, we have conducted policy work tied to social research on copyright reform for libraries and the educational sector. As part of the project “Open Educational Resources Policies for Europe”, we have prepared a study on the varied landscape of exceptions and limitations for education in Europe. We have also conducted policy work in related areas, such as Open Access, Open Government and Open Data (as authors of Poland’s first study on these matters, “Roadmap for Open Government in Poland”) and Open Education. We also have extensive experience in trainings and outreach campaigns related to open science. Our project, Biblioteka Otwartej Nauki (Library of Open Science) supports authors and publishers in adopting open publishing models. We have also conducted multiple workshops for scientists, students, librarians and publishers. Our policy research unit consists of sociologists, economists, lawyers and media scholars. In the last several years, we have conducted studies on the economic value of public sector information and its reuse, media literacy in Poland, circulations of content in the digital environment and the social context in which copyright law functions. Fundacja Projekt: Polska hires approximately 20 persons as permanent staff (of which 10 work at Centrum Cyfrowe), with another 15 external collaborators.